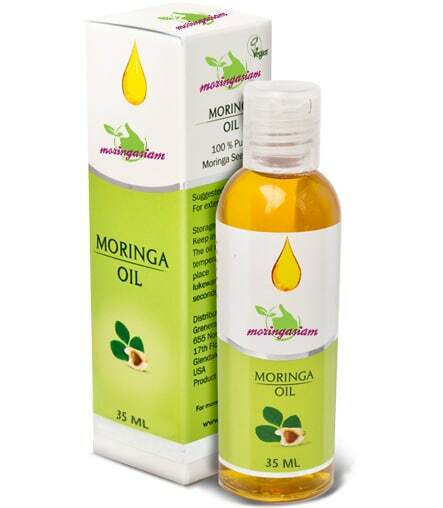 Moringa oil has fast and recognized anti-ageing properties. Very effective againt wrinkles, it also helps to rehydrate dry areas of the body, and significantly improves hair health. Over the years, our oil has reached top quality. Our cold pressing extraction process retains all the beneficial properties of the oil. This guarantees the best possible oil! 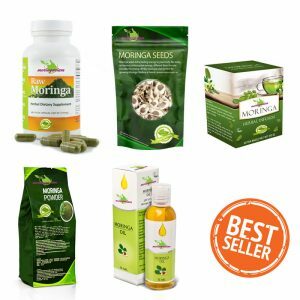 Click here to visit our Moringa anti-aging box and get an immediate 15% discount. Use: Apply the oil daily to the face, hair or other parts of the body you want to moisturize. Composition: 100% pure cold pressed Moringa Oleifera oil. Our traditional manufacturing processes preserves both antioxidants and nutrients from the oil, which is perfect for skin care, massage or aromatherapy. 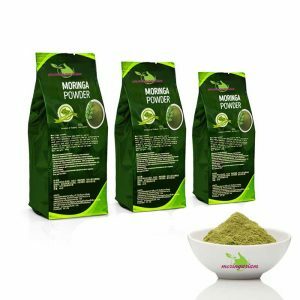 As every product we sell on our online moringa shop is natural, the moringa oil sourced from this store is 100 % natural, with no dyes, chemical or preservatives. The oil is made from the seeds of the tree utilizing cold pressure process, which means we complete the extraction at a temperature not exceeding 50 ° (friction during extraction process still causes an increase in heat). You can get more information on cold pressed process. We preserve antioxidants and nutrients in order to get the highest quality oil, with all its benefits. Free radicals are responsible for skin aging, including wrinkles.They also cause tissue aging. 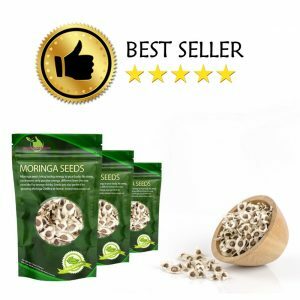 Moringa oil antioxydants fight against bad effects of free radicals (source). Our oil maintains the moisture level of your skin. It can also be used if you have chapped lips, eczema or dermatitis. If your skin is dry, you can apply the oil daily to restore its flexibility and sweetness. If your skin is tired, wrinkled, you can benefit from the antioxidants and nutrients provided by the oil. These have established anti-aging virtues that strengthen the skin tissue and minimize the wrinkle formation. The vitamin C is effective for the regeneration of skin cells, as well as to stabilize collagen level. It is also possible to use the oil for its antiseptic properties. 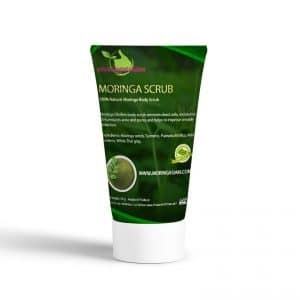 Moringa oil can be used for small cuts or abrasions, also for small infections and insect bites. Au plaisir de vous retrouver sur notre boutique ! Très bons produits ,livraison rapide. Il faudrait attendre pour voir les résultats, mais je ne doute pas de l’effet du produit.